When the French Open gets underway a few days from now, one person who won’t be on hand is Ilie Nastase. Normally a fixture at Roland Garros, the notorious Romanian tennis legend earned himself a ban from this year’s tournament, thanks to his recent misbehavior as head coach during Romania’s recent Fed Cup tie against Great Britain. At the draw for the tie he was heard remarking of Serena’s baby, “Let’s see what color it has. Chocolate with milk?” At the pre-match dinner he made British head coach Anne Keothavong uncomfortable with flirtatious remarks. Nastase was ejected from the tie itself after calling Keothavong and British player Jo Konta “f——-g b——-s” during an angry outburst. As the tennis media reported on the Nastase controversy, former pro and current ESPN commentator Pam Shriver went public with claims that Nastase repeatedly asked her whether she was a virgin when she was a teenager on the our. 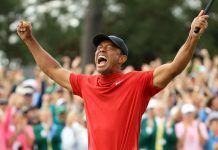 With Shriver, Chris Evert and Brad Gilbert doing a pre-tournament press conference for ESPN’s French Open coverage, Inside Tennis editor and publisher Bill Simons used the opportunity to discuss the changing times in tennis and there latest scandal attached to the man they call Nasty. INSIDE TENNIS: Pam, we recently saw a tough situation with Ilie Nastase in Romania, and then you reported that when you were a teenager he really crossed a line 30 times or so and asked you an inappropriate question. How did that make you feel, and do you generally feel there still is a lot of sexism in the game? Secondly, after all that happened [in the Fed Cup recently], Nastase was honored by Ion Tiriac at the Madrid Open and Boris Becker and Yannick Noah came out and supported him. What are your thoughts on that – is there still a sort of good ‘ol boys network in the game? PAM SHRIVER: Thanks Bill, I love this question. I seem to remember, 1978 is when I made my debut. Gender politics was in a very different time. The thing that he said to me over and over again was in his mind a joke. I never felt threatened. I never felt unsafe. I knew he was joking, but it was totally inappropriate, I was 15, 16, 17 years old. What you’d expect from somebody is that they move on with the times and they’re accepting of change…[With Nastase] we should stop expecting him to be any different [than he has been]. Having said that, he should not be in a position to be the leader of a female tennis team, like the Romanian Fed Cup team. What he did on the court against Great Britain and what he did in the press conference, what he said, was typical of him. But he shouldn’t be put in that position. He should be appreciated for being a talented champion of an era past, and he should not be put into a position of leadership. 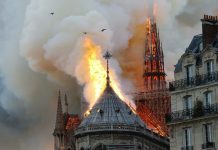 What Tiriac did – Tiriac is an entrepreneur and a bit of a rebel and he and Nastase have been great friends for decades. To have him [Nastase] to this tournament is one thing, but it was like he was snubbing – Tiriac was not respecting the situation, not respecting the WTA, by having him on the court. 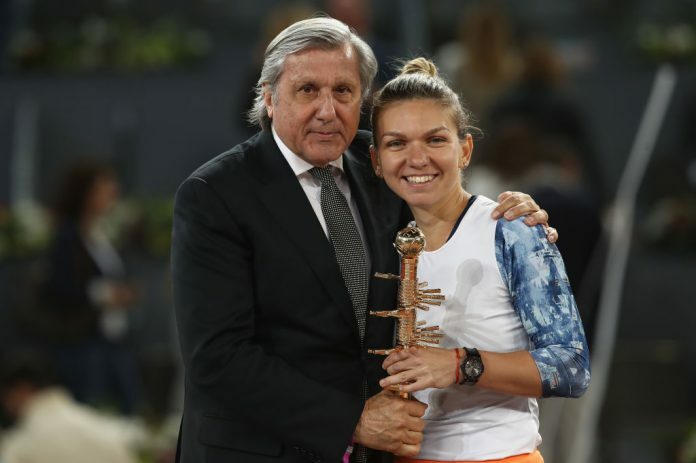 Obviously [Simona] Halep being Romanian and appreciating tennis history and Ilie Nastase, it could have been a nice moment, but it should never have happened because of what happened in the Fed Cup tie. So Tiriac wants to march to his own beat, but when you’re in a sport that’s like a league and you have rules that the tour sets and you have the ITF, you can’t just be your own person like you have a personal business and run it the way you want to run it. You have to follow boundaries, guidelines and expectations, and Tiriac did the wrong thing by having Nastase on the court in Madrid. CHRIS EVERT: Can I just say one thing about Nastase, because I knew him pretty well – he was my coach at World TeamTennis, and he was Jimmy’s [Connors] best friend, so I spent a lot of time with him. Pam, as you said, the boundaries were a lot different back in the day. They were so different. Now they’re much more clear. The word inappropriate wasn’t a word back then. Ilie Nastase was funny and irreverent and yes, he was inappropriate, but in those days nobody really gave it a second thought. But nowadays? It’s a different time, it’s a different era. He should be careful, and he should have more respect. He’s got to change with the times.